Mack Granite models are now available with a pre-wire option for equipment from Lytx — a global leader in video telematics. Using video-based driver coaching and predictive analytics, the Lytx DriveCam safety program helps reduce unsafe driving behaviors. Mack Trucks expanded the availability of a pre-wire option for equipment from Lytx — a global leader in video telematics — to the Mack Granite model. Mack made the announcement during a ride and drive event featuring Lytx DriveCam-equipped Mack models in Fontana, Calif. The expanded collaboration with Lytx builds on a memorandum of understanding Mack and Lytx entered in October 2017. Lytx DriveCam helps reduce unsafe driving behaviors for more than 3,000 organizations through video-based driver coaching and predictive analytics. By adding Lytx Video Services, customers can go beyond safety and help eliminate operational blind spots that keep them from maximizing efficiency, productivity and profitability by adding features like on-demand continually recorded video, optional live stream and support for multiple cameras. This captured footage can be used to provide proof of service or delivery verification through video confirmation. Available in axle forward or axle back models, the rugged Mack Granite model — the No. 1 Class 8 conventional straight truck model in the United States for 2014, 2015, 2016 and 2017 — can be spec'd for a wide variety of construction jobs, including dump and concrete mixer applications. Granite models are equally at home in the demanding refuse segment as rear-loaders or roll-offs. Municipal customers depend on Granite models for plow applications. For severe-duty applications like heavy-haul and logging, Granite models can be spec'd as a tractor with heavy-duty upgrades. 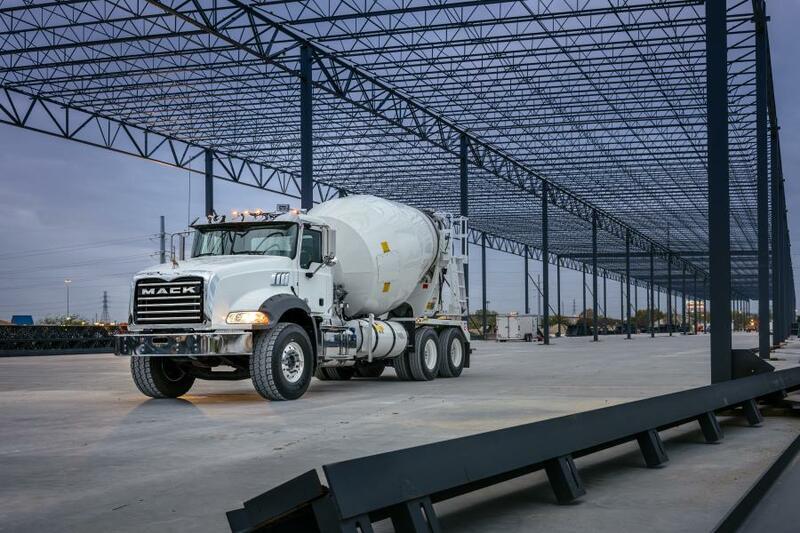 Depending on the application, Mack Granite models are available with the lightweight, yet powerful 11-liter Mack MP7 engine or the 13-liter Mack MP8 engine with up to 505 hp. Both engines are optimally paired with the Mack mDRIVE HD 13-speed automated manual transmission, which is standard on all Granite models. The mDRIVE HD 13-speed offers a low-ratio creeper gear enabling excellent jobsite startability, while maintaining on-road fuel efficiency. Mack Granite models with the pre-wire option for Lytx DriveCam safety program and the Lytx Video Services enhancement will be available for order beginning in the third quarter of 2018.